A new accounting standard relating to sales expense recognition is likely to create controversy in the world of software earnings quality, particularly given the recent trend toward multi-year contracts associated with software subscriptions. ASC 606, jointly issued by the Financial Accounting Standards Board (FASB) and the International Accounting Standards Board (IASB) on May 28, 2014, provides guidance for revenue recognition as well as the accounting for certain sales expenses. 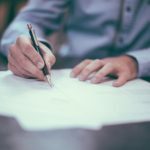 The rule allows companies with revenue contracts extending beyond a single year to capitalize and then amortize the incremental cost of the contract acquisition over the life of the contract. Therefore, certain sales commissions can be deferred, even though the commission is paid at the time the contract is approved. This is significant for any software company whose average contract length is more than a year, for it allows the company to defer a certain portion of its sales commissions, reduce its reported sales expense, and boost earnings in the process. Though FASB and the IASB originally envisioned adoption of the guidelines to occur after December 15, 2016, or, for practical purposes, during the first calendar quarter of 2017, an update provided by FASB last summer deferred the effective start date for one year for public entities reporting under US GAAP. Thus, companies are not required to comply until the first calendar quarter of 2018. ASC 606, if adopted, will have a significant impact on companies which pay out the bulk of their sales commissions in a particular quarter as part of a yearly incentive structure. For companies with multi-year contracts the reduction in sales expense could be significant in the year-end quarter. It will therefore be important to evaluate the earnings performance of a company as if the accounting guideline had been implemented in the prior year, in order to ensure an apples to apples earnings comparison, and to determine whether a company’s reported earnings may have been artificially stimulated as a result of adopting ASC 606. Proponents of ASC 606 assert that the capitalization and subsequent amortization of sales expense better matches a company’s ratable revenue recognition pattern for subscriptions. We believe that ASC 606 distorts the P&L by systematically under-reporting expenses incurred by a company at the time of payment. Another argument in favor of capitalizing commissions is that sales expense represents an incremental cost associated with a sale. Yet, so are marketing and promotional costs, as well as R&D expenses, since market awareness and the addition of new product features can directly impact the purchase decision. In terms of historical precedent, one recalls the enactment of FASB 86, an accounting edict proclaimed in August of 1985, which enables companies to capitalize –rather than expense— certain software development activities between the point of establishing commercial feasibility and “completion” of the product. Upon review of the ruling, Francis (Frank) J. Gaudette, the late great CFO of Microsoft, who helped orchestrate the company’s IPO in 1986, refused to recognize as legitimate any interval between feasibility and product completion, with the view that research and development costs should be expensed entirely in the period in which they are incurred. By taking a hardline stance against capitalization of R&D under any circumstance Gaudette set a precedent among software companies with conservative accounting practices, whose earnings multiples—like Microsoft’s—have been rewarded over time. As ASC 606 comes into effect, and a spotlight shines on the sales and marketing expense line of subscription software companies, one should take with a certain grain of salt the considerable operating margin improvement that some companies will claim as a result of adopting the new guideline.